Personal injury is a very difficult thing to deal with. Aside from the physical pain that you’re experiencing, there are countless ways that this incident will impact your life and you should be prepared for them. At Woods & Thompson P.A. we have played a part in numerous personal injury cases and have seen the damage that these cases can causes. Continue reading so that you can get a glimpse of how your life could change after you’ve had an accident. Without a doubt, one of the first things that we need to cover will be physical ailments that could happen from the accident. The type of injury that occurs is going to be different for everyone. Accidents could lead to immobility, physical deformities, broken bones, surgeries, and more. 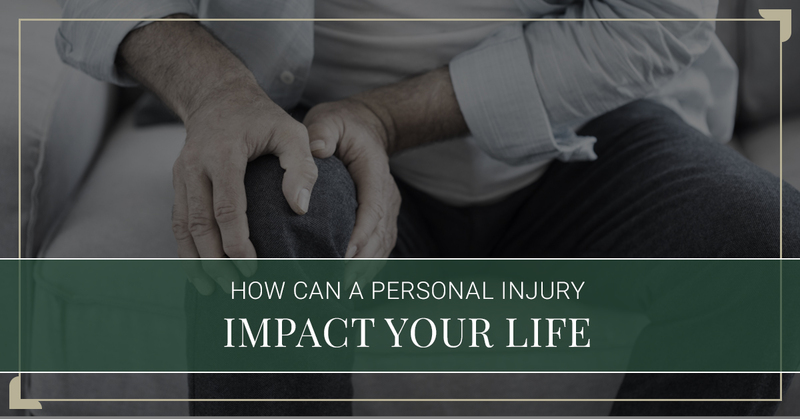 If you’re already dealing with a personal case, then there’s a good chance that you’re already aware that there are going to be physical ways that your body is affected by this accident. The one thing that you should be prepared for with these physical ailments: the bills. Accidents bring unexpected injuries which could lead to a trip to the emergency room, a couple of surgeries, but at the very least some type of visit to a doctor. That means that there will be bills that are headed your way. A majority of the bills that come from medical offices are far from small or cheap. Depending on the care that you received, it may just be one bill that you receive or a couple, and that can be stressful if you haven’t accounted for a way to cover the bills. With your medical bills, the one thing that does need to happen will be paying them. If you aren’t able to find a way to pay for them or you’re currently unable to work and bring in money, then it’s time to reach out to a personal injury lawyer. Having a professional on your side can help ensure that you get the compensation that you need to take care of these bills. One of the most frustrating parts of personal injury accidents is the chance of a break in your income. This isn’t something that happens for all personal injuries, but there is a chance of it happening if the injuries from the accident make it difficult for you to work. Your income is something that you need to provide for yourself, provide for your family, take care of your rent, and the like. So, when you are told that you need to take some time off of work or that it could be months before you’re able to return to work, what do you do? There’s no way to prepare for this truly, but if you have recently been in an accident that could potentially lead to this — it’s time to start budgeting. There will be bills, both medical and personal, that come in and require you to take care of them, so what are you going to do? The good news is that most personal injury cases will lead to some sort of compensation when the individual injured has lost income because of their injury. The only issue here is waiting until they’ve locked the case down. Everything that we’ve mentioned above is extremely stressful. It’s so challenging to deal with as is, but when you factor in the fact that it’s an accident that you had no way to prepare for, it immediately becomes all the more stressful. A component of many personal injury cases is compensation for pain and sufferings that come with the accident. Any losses or mental and emotional struggles that may stem from the accident could also fall into the pain and suffering claims that you make toward the accident. These types of claims are more difficult to stand by if you don’t have any way to back them up. That being said, if there’s anything you think might be considered pain and suffering, talk to your lawyer and figure out a way that you can defend the claims that you’re making so that you are entirely able to defend them. The various things that we’ve touched on above are all things that you can anticipate after a personal injury case, but can you really prepare for them? Personal injury cases are built to help those injured in an accident get the care and assistance that they deserve. The team at Woods & Thompson P.A. have helped countless residents of the Twin Cities area get the compensation that they are entitled to. Let us look at your case and find a way to assist you. Contact our team today to set up a time for a consultation on your case.